Welcome to Security International Management’s website. We are the Mastrer distributor for leading brands of fire and safety products in Eastern Europe, some of these are DSC, Bentel, Kantech, Tane . If you go to our product page you will find the full selection of brands distributed by us. The territory we service includes the following countries Albania, Armenia, Austria, Azerbaijan, Belarus, Bosnia and Herzegovina, Bulgaria, Croatia, Estonia, Georgia, Hungary, Kazakhstan, Kosovo, Kyrgyzstan, Latvia, Lithuania, Macedonia, Moldova, Romania, Russia, Serbia, Slovakia, Montenegro, Slovenia, Tajikistan, Turkmenistan, Ukraine and Uzbekistan. In each country our partners provide sales and technical support for the brands they sell. 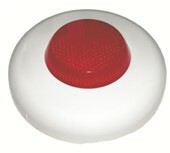 Conventional Roshni Electronic Sounder Red IP65?